§ 643.1 Where brought — petition. § 643.2 Ordinary proceedings — joinder or counterclaim. 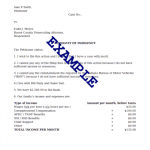 § 643.6 Filing — purpose of bond. § 643.8 Wrongful removal — service. § 643.9 Following property — duplicate writs. § 643.13 Release — return of bond. § 643.14 Inspection — appraisement. § 643.16 Assessment of value and damages — right of possession.